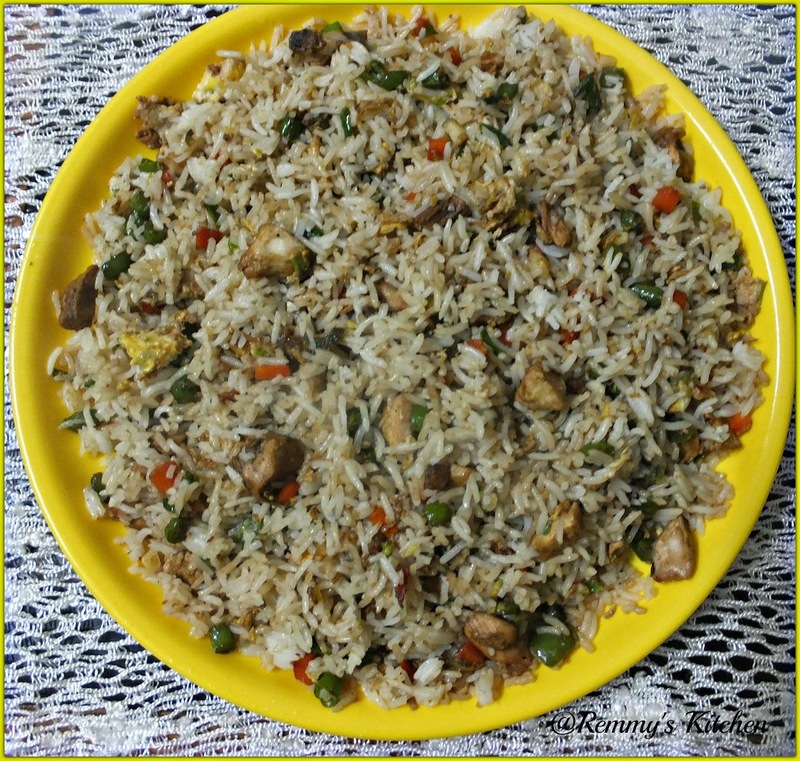 Fast food style fried rice..yea my all time favorite.Believe me it tastes just like the one we are getting from fastfood shop here.I'm sure you love this dish... and really easy to prepare one. Soak basmati rice for 15 minutes drain it and cook it with salt,lemon juice and 3 cups of water. Let it cool and shred it.Keep it aside. Heat a pan with butter.Add chopped garlic,ginger all veggies and white part of spring onion. Saute it well in high flame for 1 minutes. Now crack the eggs and mix it well. Now add cooked rice and mix it well with all other ingredients. 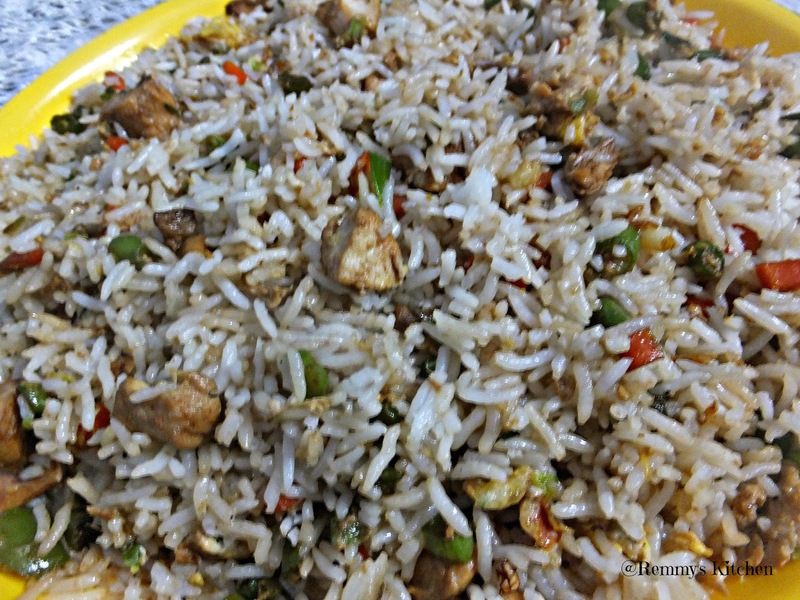 sprinkle pepper powder and chopped spring onion green part.Yummy fried rice is ready! You can add cabbage too. I used a small kadai So divided the cooked rice in to 3 portion and prepared. 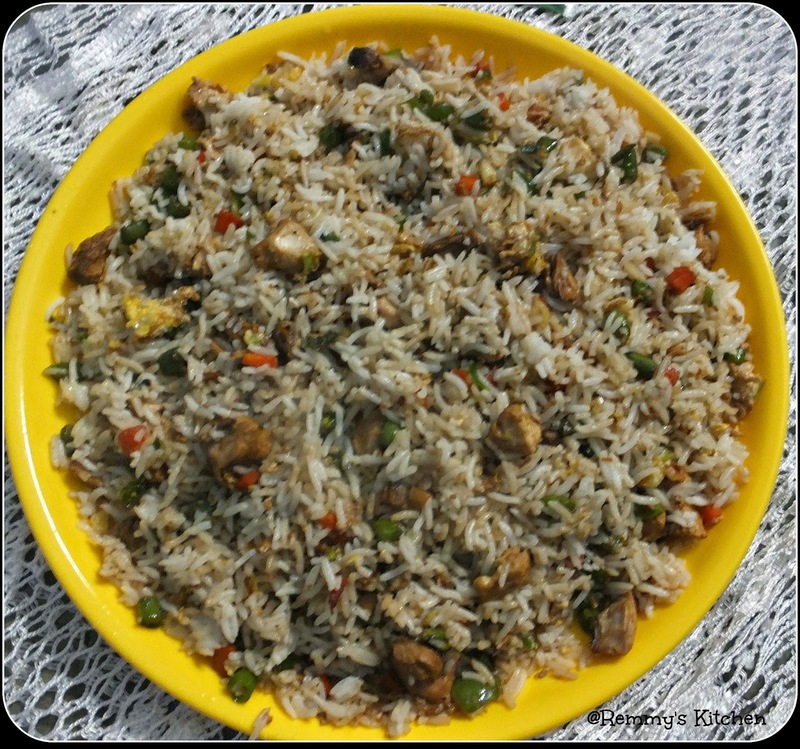 Looks like restaurant style fried rice.. Awesome one complete meal with all the essential nutrients. Hi!... 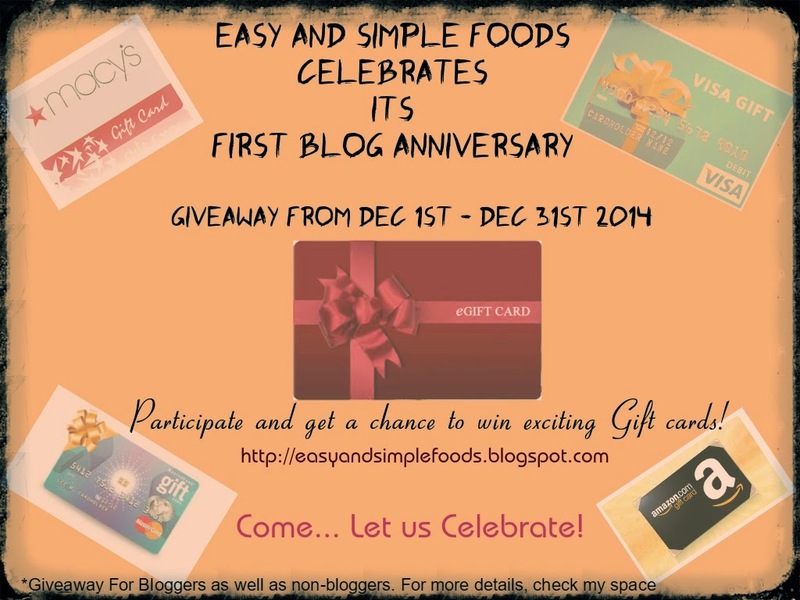 Came across ur blog through the comment section of another!! Will follow ur blog and will be happy if you follow me back. Already went through some recipes.